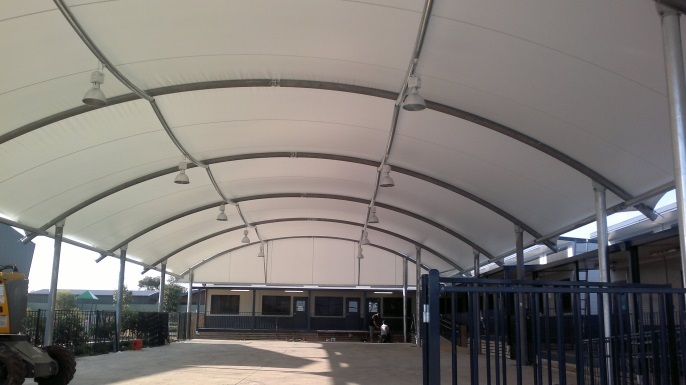 Nearing the end of 2012 we were approached by the Melbourne Islamic College in Tarneit. 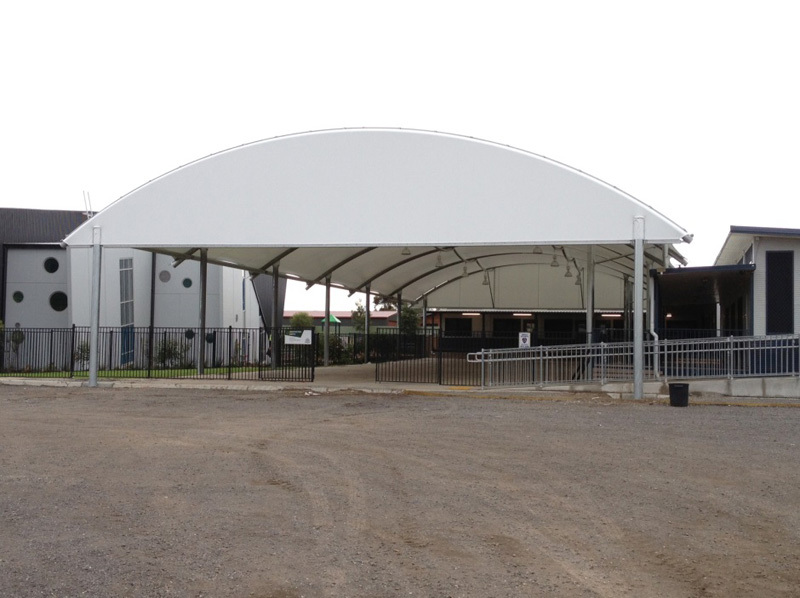 We were asked to design a shade structure to cover their student’s assembly area, which covered 39m x 16.5m. The main focus for our design was to provide a waterproof area for the students to use all year round and to accentuate the look of their school. Another feature we added to this structure was to install lighting, which allows the students to utilise this area at night for after school performances. 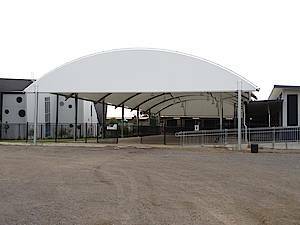 These structures are great for covering large areas, free standing they are an ideal solution for assembly areas at schools and businesses, for wet or dry days.